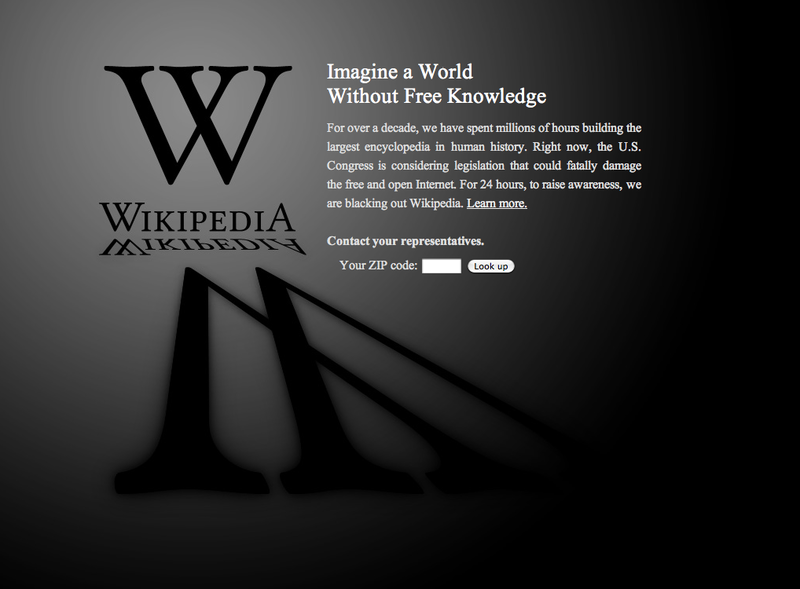 How Will Wikipedia Navigate the Trump Era? The world's most important unreliable source faces questions size and money can't answer. Plenty has gone on in the world since that initial announcement; those events are reflected by Wikipedia itself. In July 2016, Wikipedia editor “Smurrayinchester” created a page for the term “Post-truth Politics,” in which members of the media and academia cite Donald Trump’s discourse as a prominent example of the phenomenon. Since then, a public discussion of “Fake News” — false clickbait stories with grabby headlines leveraged by non-journalists to profit from Facebook traffic — has spilled over into media criticism. Wikipedia remains flush and healthy, but its mission, “to collect and develop educational content … and to disseminate it effectively and globally,” has become more difficult. The way the Wikimedia Foundation handles money is still indicative of its strengths and values. The budget is developed by teams within the Foundation and then submitted to a committee of community members for review. An annual plan is submitted to the foundation’s board for approval then the money is raised largely through $3 donation requests in banner advertisements. When the financial goal is reached, the banners disappear. It’s a streamlined, 501(c)3 approach and it works. One year into its ten-year mission, the endowment has gathered about $12 million, putting it comfortably on schedule. The average regular contribution to the site is $15. Checks to the endowment come in from big-name philanthropists, including a $1 million donation from Craigslist founder Craig Newmark. A decade ago, conservative activist Andrew Schlafly, son of famed anti-Equal Rights Amendment campaigner Phyllis Schlafly, launched Conservapedia, a site very much intended to “fix it.” Conservapedia was modeled on Wikipedia, but its mission was to present an alternative to what Schlafly perceived to be the original site’s liberal bias. According to Schlafly, traffic to the site grew 50 percent over the course of 2016. He told Inverse that Conservapedia hosted 20 million visits in November (though the source cited for those figures was, inevitably, Conservapedia). For perspective, Wikipedia is viewed more than 15 billion times every month. Between five and seven new articles are created on Wikipedia every minute, and there are now more than 40 million articles across 295 languages. Still, Schlafly’s misgivings about the site’s content — while extreme — are not limited to the far right. Journalists don’t cite Wikipedia. Students are told not to do so either. And as the growth of the site has made a great deal of information easy to access, its existence has also forced information-hungry Americans to reckon with professional and social norms around sourcing. It is neither fake nor authoritative. Like most media, it is the product of a system its consumers largely don’t understand. To get its own Wikipedia page, a new topic needs to be branded what the editors call “notable.” There are different ways of assessing what that means and Wikimedia has declined to settle on one. Each of the 295 language versions of Wikipedia was built by a community of volunteers with their own non-sanctioned editorial policies. In most languages, Wikipedia leans on secondary sources like academic literature and the news to determine topics of importance and to write entries heavy with citations, which are indexed at the bottom of the page. Editors speak with each other about whether certain sources are up to par. And, of course, those conversations inevitably turn toward neutrality. Wikipedia is intended to be a non-political product, a collection of facts; Schlafly and those who rally around Conservapedia believe that it is not. Schlafly recontextualizes “Fake News” in the same way Trump does, but his core issue seems to be the sources commonly cited by Wikipedia editors. He believes that bias leaks in via mainstream media leaks because of a systemic problem, namely that Wikimedia lacks a “principled foundation.” Conservapedia, unlike Wikipedia, doesn’t allow editing by anonymous accounts. If Wikipedia is an open community, Conservapedia is a gated one. The protests will not stop anytime soon. Neither will the accusations of bias. Schlafly describes Breitbart, a white nationalist publication published by Trump advisor Steve Bannon with a long record of deliberate falsehoods, as “excellent, one of the best sources out there.” He also likes Gateway Pundit. He takes exception to Fox News for its strong liberal bias. Other, smaller operations do. And doing so allows them to actively find and eliminate bias — and in doing so pursue at least one form of efficacy. PolitiFact, which won the Pulitzer Prize for reporting on the 2008 presidential campaign, makes that its whole mission. The organization has been busy of late. Wikipedia founder Jimmy Wales speaks after receiving a Quadriga Award for innovation in Berlin, Germany. Ironically, PolitiFact is more often portrayed as an activist institution than Wikipedia than those on the right. U.S. News and World Report referred to the company’s workers as “so-called ‘fact checkers’” after a George Mason University study showed that they were three times as likely to call out Republicans for falsehoods — the assumption being that the so-called “Truth Gap” must exist in politics generally, not in one party specifically. This creates a paradox: Ensuring accuracy requires enterprise work, which requires employees, but having employees opens information organizations up to accusations of institutional bias. In other words, if Wikipedia spends money to combat either the notion that it is biased or bias itself, it will achieve very little. Creating a Wikipedia professional class might improve quality, but it still might not make the site more effective. Can Wikipedia use its newfound millions to more effectively pursue difficult mission at a difficult time in America’s political history? Maybe not. Ultimately, Wikimedia may be forced to accept a somewhat different or diminished role in discourse, to weather criticism, and to cede ground to smaller competitors as information consumers attempt to grapple with sourcing and bias. The way to best ensure Wikipedia’s ongoing value may ultimately turn out to be holding money in reserve to ensure its ongoing existence, weathering the blows, and understanding that size still counts. Wikipedia might be able to simply outlast the traditional media despite traditionally depending on it. But it’s role and significance will very likely change; it’s not 2001 anymore.